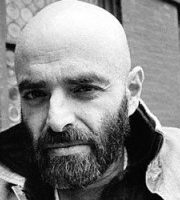 Read Shel Silverstein poems. He was a famous american poet who described himself as Uncle Shelby in some of his texts. His poems have been translated into more than 30 languages. A Boy Named Sue won a 1970 Grammy. He was nominated for an Oscar and a Golden Globe for his song "I'm Checkin' Out" in the film Postcards from the Edge. Here are below some of his most famous and best poems like One Inch Tall and others. Silverstein was inducted into the Chicago Literary Hall of Fame in 2014.